In this mountain-dotted city, there is little for residents to stress about: unemployment is low, commutes are short and the homes are relatively cheap. Less than 13% of metro area residents live in poverty. Plus, living costs are affordable, meaning residents are able to get a lot more for their money. But that's not all. Salt Lake residents take less time getting to work (an average of 23 minutes each way), face far less traffic on their way in and spend less time working once they're there — giving them more time to hit the slopes, spend time with family or enjoy the fresh mountain air. 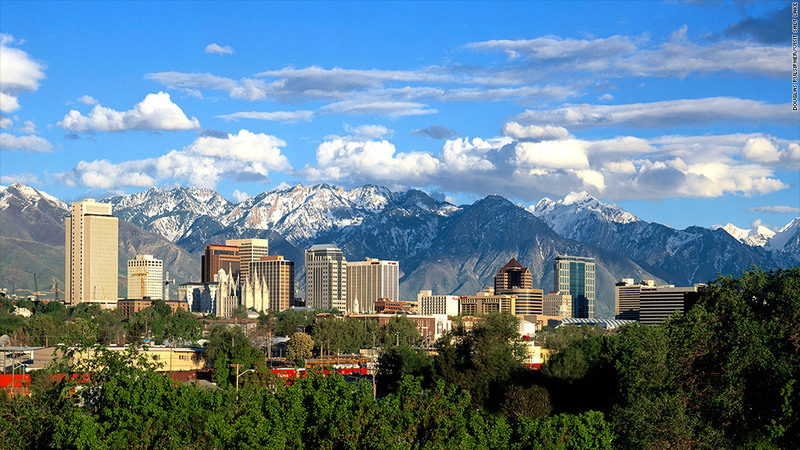 "There is a very healthy balance between work and family life and recreational life," said Salt Lake Mayor Ralph Becker. "People prize other parts of their lives, besides just their work." The one thing working against this metro area: property crime rates are among the highest for major metro areas. Becker said a "high percentage" of the property crimes are related to drug offenses.